Another Dynam home run! 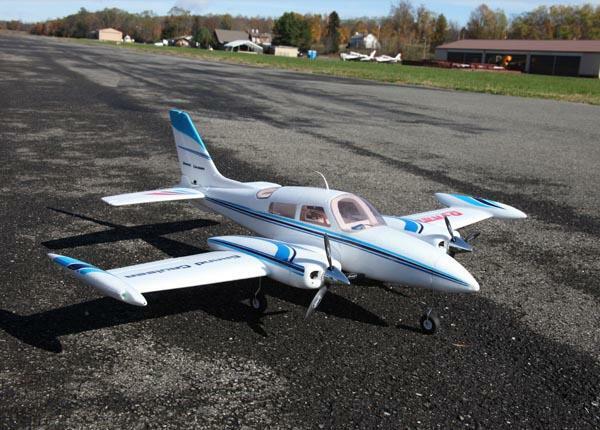 This is a GREAT trainer-type plane- steady, smooth and responsive, even in wind. Check out it's flying performance in this video! Tech Note: The electronic retracts on this Dynam airplane "may" function intermittently in temperatures below 50 degrees Fahrenheit. 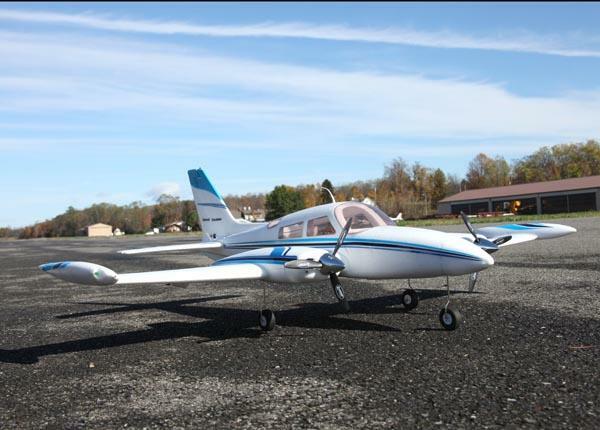 If you are flying in colder weather we strongly recommend flying your Dynam airplane with the gear deployed. We have notified Dynam of this issue, and they are working on a solution. The servoless retracts are really sturdy and dependable, and it's "flap ready" with the new Dynam "extended flap' design. This means that the hardware for the flap system is included with the plane- all you need is our Killerplanes flap kit to finish the job off- all the necessary other parts are in there (servos, wires, adapters, reversers, control rods and horns, everything but the hot glue! ), ready to hook the flaps up to your 6 channel Transmitter/Receiver. A word about this new Dynam flap design- it's an AMAZING piece of engineering. 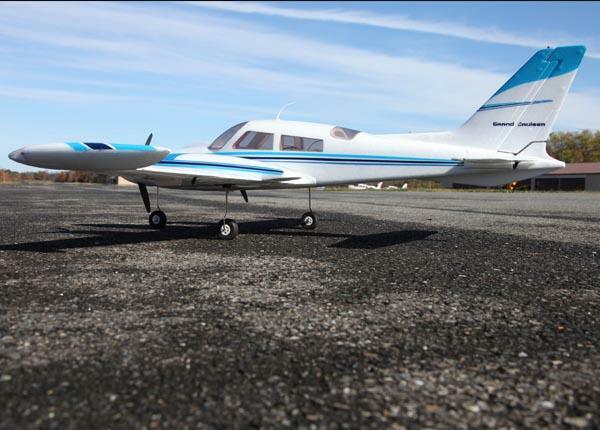 Flaps on foamies are usually supported by the servo, meaning that the "lift" provided by the flap portion of the wing is constantly pulling on the servo arm, putting a load on the servo the entire time you're flying. This new design is clever in the extreme, and the flap fits up into a "pocket" that supports it- it's pretty much a Fowler Flap. The supplied flap hinges include a hidden control horn, and the control rod is buried in the wing. 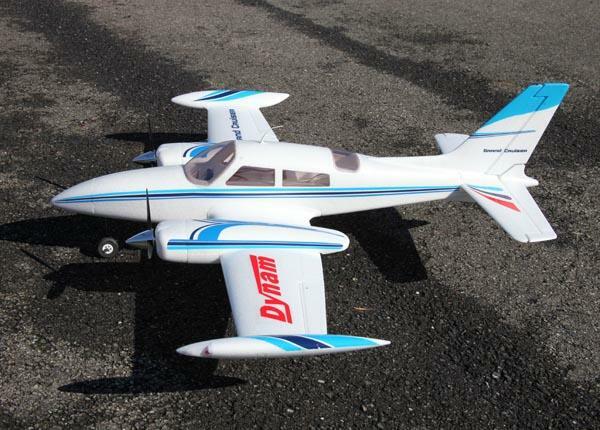 VERY intelligent and elegant, and it's just another of the many design elements that make me LOVE these new Dynam planes! Our Crashproofing/Airframe support system once again gives the plane 9 lives, and keeps your wings from snapping when pulling out of a steep, fast power dive (should you find yourself in that position somehow...) Don't fly without Crashproofing! Once you try it (and especially once you NEED it) you'll be hooked- it's the least expensive way of keeping a plane in the air! The Dynam Grand Cruiser RTF version comes with the fabulous Dynam 5 channel Transmitter/Receiver (my favorite inexpensive transmitter- check out it's operation in our Youtube video "My Three Planes"), a 2200mAh 20c 3 cell LiPo battery, and a balance charger. Did I forget something? Oh yeah- the PLANE, decals, pre-installed retracts and servos, LED navigation lights, and loads of guaranteed FUN! The PNP version has everything but the Tx/Rx, battery, and charger. The last word- now that I've made the video, I'm going to paint mine black, with some blood-red accents on the top. Batplane, here we come!